Co-op gamers that miss the mission based action of a first person game like Left 4 Dead, listen up. There has been a suspicious absence of quality releases in that style, until now. 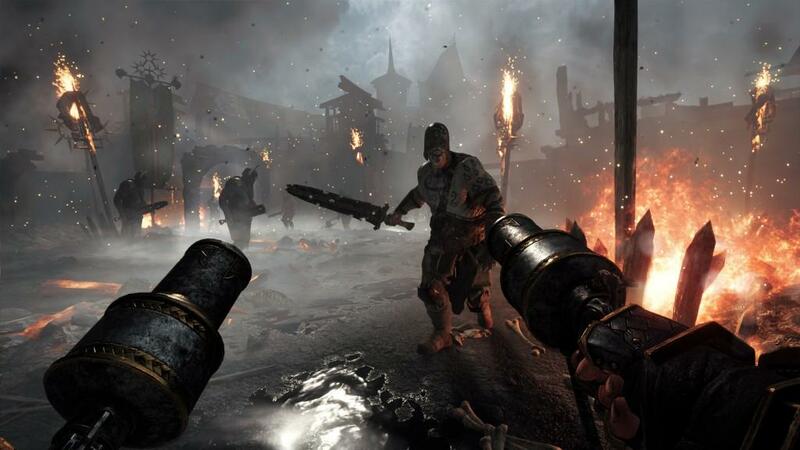 Warhammer Vermintide 2 is taking up the mantle. 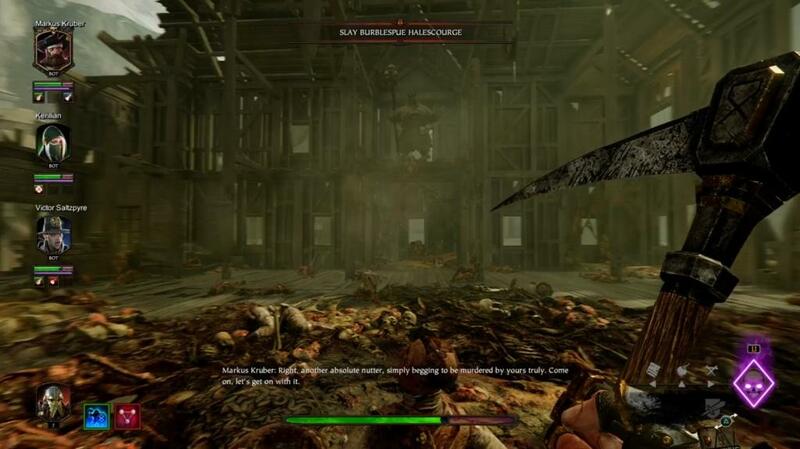 Obviously there was a release in the series before it but that clearly served as a learning experience for developer Fatshark to really step up their game and become the leaders of the genre. For those who are unaware, the series takes the Left 4 Dead formula and replaces modern day zombie infestation with a war against the Skaven on a fantasy battleground. The key additions however are the RPG elements that were infused into the core design, allowing gamers much more freedom and control in customizing how they try to hold back the seemingly endless waves of enemy fodder. You begin each mission by following basic objectives and fighting so many enemies that while simple can overwhelm you with volume. Get comfortable with it fast because at any point special enemies will start to spawn such as Ratling Gunners or Gutter Runners that will force you to rethink your strategies. So much fun can be had in a group with your friends where you finally have that all under control when the screen starts to shake and an even more rare spawn such as the Rat Ogre appears and adds a whole new level of challenge to your quest. It’s inevitable that beyond your objectives you will be met with times where you are simply trying to survive. Customization begins with 5 different heroes who each possess 3 unique career paths. I personally spent the most time with the Dwarf Bardin Goreksson who could specialize in distance as the Ranger veteran, provide meat shield defense by way of the Ironbreaker or deal all out damage in Slayer form. Career paths dictate the weapons you can wield, your passive abilities and which ultimate ability you have. If that’s not enough for you, every career also has a skill tree with a new tier available every 5 levels that can be freely switched between missions. Luckily, while each character has to be leveled individually, their career paths don’t. There are a total of 13 levels available out of the box, which is actually pretty high for a game of this genre. That said, even with the high level count if you are running the same ones over and over again they could become tiresome. That is why there are 4 difficulties and don’t let your time in recruit convince you that this is a hack and slash, be prepared for a lot of failed missions on higher levels until you realize that you need teamwork and strategy. Luckily the game won’t even let you access higher difficulties which are gated until you have obtained a better gear score meaning that you have taken some time to accustom yourself to what’s going on. The main way to get gear is by simply completing levels, which will net you a loot box. Initially I was unhappy to see an RNG mechanic, until I realized that the boxes always generate items catered towards your current career, within a range of your gear score or that are accessories which are universal. 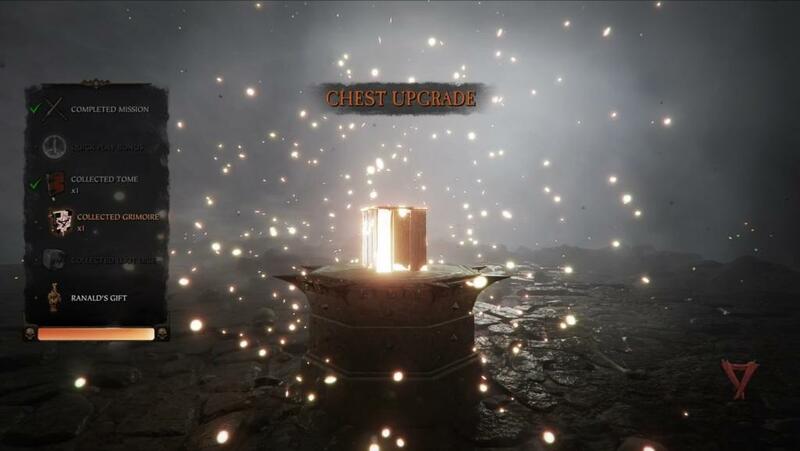 The boxes can also be upgraded in quality through a variety of factors like if you were in quick play, loot dice were snagged off of a boss mob or if you managed to haul a tome or grimoire to the level exit. Additional boxes can be obtained through the completion of daily or weekly missions, in game achievements or by doing heroic deeds. These deeds are consumable scrolls that add a modifier to a specific level like increasing the enemy spawns or adding a feature where player health degrades slowly during the level. Not only will these all net you additional gear but they are also great features for adding variety to the repetition and keeping players who enjoy a challenge motivated. A quick note on variety, the addition of the Chaos enemies to the Skaven in order to bolster the roster of foes really does a lot to keep things from feeling as stagnant as they became in the first title. While it sounds like I have nothing but good things to say, there is still one big shortcoming and that is connectivity. This is a game that is at its very best when played with other people as the bots will only get you so far with their limited AI capabilities. While it is nowhere near as bad as it was in the first game and seemed like a coincidence at first, it was rare that I could do 2 quick play matches in a row without being disconnected from the host. Hopefully this is a priority in the patching schedule in order to really elevate the experience. I want to say that the graphics are amazing and I will but with an asterisk. For as much as the landscapes look great with long draw distances that give you a real feel for the world, for every little detail like the wear in the weapons you wield or the textures on a tome you are picking up and for every time the game manages to throw what feels like hundreds of enemies at you in one spawn and not drop in performance there is one thing that will randomly pop up and break your emersion. This happened as early as the tutorial for me as I turned the Wizard Sienna during a dialogue break and it looked like her face was drooping off of her skull as she spoke. That being said, the action is so frantic that you rarely have a moment to stop and look at the blemishes. Overall, Vermindtide 2 is an improvement over its predecessor in every way and was entirely worthy of the best co-op moniker it earned when it released on PC earlier. While I can’t say that it has done enough for anyone who was absolutely not a fan of the original or the genre to change their minds, everyone else should grab 3 other friends that enjoy strategy mixed with the gear grind and dive right in.